D.C. Mayor-Elect Muriel Bowser announced her appointment of Alexandria City Manager Rashad M. Young as the District's new city administrator Tuesday when she takes office Jan. 2. The city administrator job is the top appointment the mayor-elect can make and doesn't require council approval. 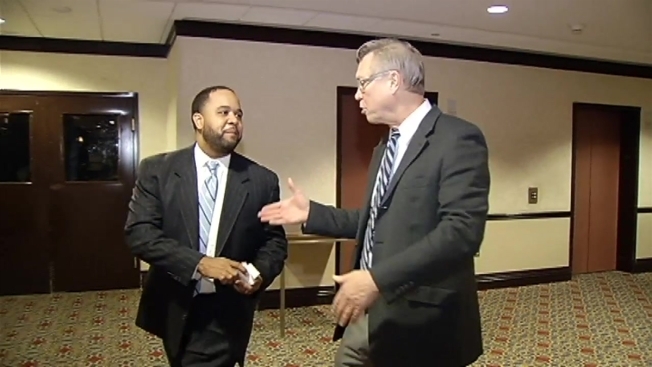 News4's Tom Sherwood first broke the news on Twitter Monday evening. Sources tell NBC4 Mayor-elect Muriel Bowser tomorrow will name Alexandria City Manager Rashad Young as her City Administrator. The city administrator post is the most powerful appointed position in city government. The city administrator oversees planning and day-to-day operations of the $12 billion budget and 33,000 city workers. This will be the biggest government post Young has had in his public career. In Alexandria he had a workforce of about 3,000 employees and a budget of $640,000. 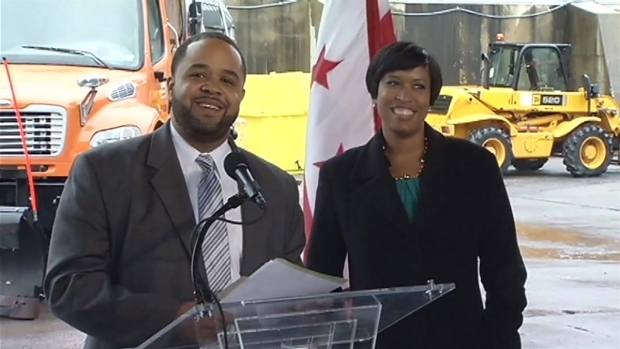 Alexandria City Manager Rashad Young is D.C. Mayor-elect Muriel Bowser's choice for the city's next city administrator. Tom Sherwood reports. At a news conference Tuesday, Bowser and Young insisted that he is up for the job. In Alexandria, Young is credited with forming the Office of Performance and Accountability and the Department of Project Implementation. He also enhanced civic engagement with Call.Click.Connect, which allows direct communication with staff. “I am excited to help Mayor-elect Bowser form a more transparent and accountable government in the District of Columbia, Young said. Young will earn a salary of $285,000. Alexandria Mayor Bill Euille said he was first informed Thursday that the plan was in the works. He spoke with Bowser Friday and essentially gave her his blessing and then asked Young to contact all the Alexandria council members. "It's exciting for him," Euille said. "We are saddened we are losing him. It speaks volumes on the quality of the leadership we have in the [Alexandria]." Young is the latest in a succession of Alexandria senior officials to leave. Deputy City Manager Thomas Gates announced two weeks ago he was resigning to take a job as Roanoke County administrator. Euille said the announcement about Young's new position will be made public at Tuesday night's Alexandria City Council meeting. Euille will recommend that deputy city manager Mark Jenks be named acting city manager.